Before the first sequel to Mass Effect is even released, BioWare is busy making the conclusion to the trilogy. Mass Effect was released in November, 2007. 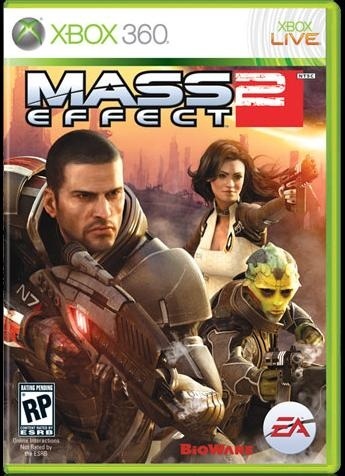 The sequel will be released for the Xbox 360 on January 26, 2010, just over 2 years later. According to Casey Hudson, project manager at BioWare, the conclusion of the Mass Effect trilogy is already in the works, and it is planned to be released with a quicker turnaround. "We are already at work on Mass Effect 3," he said. "Building the first bits of the story, putting that together." "We always wanted to make sure that we got the entire trilogy of games done within this console's life cycle. We didn't want to take forever with it," Hudson said. "So we definitely want to make Mass Effect 3 a fairly short turnaround, but also being that it needs to be a tremendous and epic conclusion to the trilogy." What's Mass Effect 3 going to be about when it does come out? "I think the exciting thing in the final chapter of the series is going to be just seeing where everything goes that we started," said Hudson. "With Mass Effect and now Mass Effect 2, you'll see when you play it, all of these threads keep going. And not only that, all of the choices you've made too. You made choices in Mass Effect and you'll see those in Mass Effect 2. And it just cascades. And people will see that by the time you finish Mass Effect 2, you'll know that it's your universe -- everything is the way you set it out -- and that all of these things get to come to fruition and some kind of ending in the final chapter."